Sitemaps are a surprisingly straightforward, yet complex part of the website planning process. They look simple and often don’t take too long to create but their influence on a final website, in terms of navigation and usability, is definitely more complicated. At Slickplan, we define sitemaps as “organized lists or flow chart diagrams that show connections between web pages, web page trees, and website content.” While this definition provides an excellent technical overview of what a sitemap is, it likely doesn’t offer an in-depth understanding of what these diagrams do, how they can help the web design process, and best of all, how to create them. In other words, it doesn’t really explain why you should care. This comprehensive guide will address all of these questions so that anyone can truly understand how to benefit from site mapping. A sitemap is a representation of the content on your website that is created to help both people and computers. In theory, it is the equivalent of an outline, but for websites, and comes in many forms and complexities. You may see sitemaps designed as a hierarchical list organized by topics, or perhaps it may be something more interlinked, such as with an organizational chart. How site mapping is used can vary greatly as well. Some aren’t even designed to be deciphered by the human eye; instead, they are targeted for search engine crawl bots. While the process of site mapping is fairly straightforward, understanding the different types of sitemaps and their purpose is a little less so. Knowing about just one is not enough; you need to understand them all. You may use one type of sitemap, or all three, while building a website. If you are wondering how you know which one to use, don’t worry too much. In general, sitemaps are clearly defined by their purpose, so once you know what you need, you’ll know which sitemap to choose. Generally speaking, site mapping helps us understand what’s on a website without reading the entire site. They also help with website planning, can improve the user experience, and are a powerful SEO tool. There are three basic types of sitemaps, each with their own benefits and level of complexity. Here is a brief overview. Visual sitemaps are typically flat, 2D drawings or renderings that represent a site’s hierarchy. They usually start with the homepage and illustrate how other pages link to it, providing a visual map of all of the parent-child relationships within a site. This type of sitemap also shows movement – by demonstrating how users can navigate through a site. This helps designers plan for usability. For example, a sitemap that is visual will diagram how the ‘about page’ connects to the ‘services page’ or point out that the ‘services page’ has three child pages detailing those services. You can learn a lot about the structure of a site from a visual sitemap, making them highly useful when planning a website. While they are great to have, a visual sitemap can be challenging to create. There are a few ways to build these diagrams. You can use pen and paper (such as with Post-it notes) to map out the main themes of a website and how they are interconnected but depending on the size of the site being mapped, the end result may turn out be very complex. When site mapping for a large site, it’s probably a good idea to use a computer-aided tool such as Slickplan. Because the process can be quite arduous when done manually, online site mapping tools can save a lot of time. Digital tools can also help prevent errors – as the monotony of listing and organizing hundreds of pages is likely to lead to some mistakes. Although drawings and renderings are typically helpful, sitemaps do not have to be visual. HTML site mapping can provide some of the same benefits as visual site mapping, but with a lot less effort. Instead of creating a diagram, HTML site mapping produces a formatted list that you could read, but probably won’t if it’s long enough. It doesn’t do as good of a job at showing how pages are linked together, however this easy-to-create outline is still useful. To show the relationships between pages, it lists the parent pages and uses sub-bullets beneath them to show the child pages. If the site is large, however, this can quickly become a very long list. If this seems like a simplistic approach, it is. In the early days of the internet, HTML sitemaps were more common. Nowadays you can find them linked in the footer of some websites – accessible, but not really noticeable. If users manage to find the link to an HTML sitemap, they can scroll through it, quickly browsing the site’s layout. In today’s world of search, HTML sitemaps still serve as some users’ website table of contents. Whereas a visual sitemap can help designers plan for a website, and an HTML sitemap helps users browse the structure of a website, the XML version has an entirely different focus. XML site mapping creates an outline of a site and displays the relationships between pages, but it is created for bots, specifically search engine bots. As a result, XML sitemaps require unique formatting to serve their purpose. XML sitemaps can be created both by hand or by using tools. 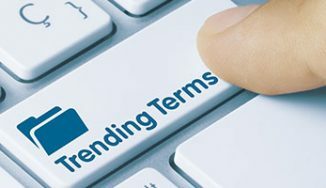 Once generated, the resulting document is manually submitted to search engines for ‘crawling.’ Ideally, the bots review it and index the website on their search engine results pages (SERPs). At least this is what “should” happen. In actuality, the process of submitting an XML sitemap is not a guarantee of better search engine results – search engine bots do not need it to crawl a page. However, the practice of creating one and submitting it could help them do their job faster and with fewer errors, so why wouldn’t you? Since Google is a search engine, however, most of this recommendation is based on XML sitemaps, but the same could be said for HTML and visual sitemaps. However, if your website project does not meet these guidelines, it is still a good idea to practice site mapping as a way to help inform users, improve SEO, and make a site easier to navigate. Site Mapping in the Web Design World. Anyone can create a sitemap, but these website planning tools are typically crafted by information architects or content strategists. These professionals are experts at categorizing and organizing information, and site mapping is one of the tools of their trade. On web development teams these professionals often work alongside developers and designers to create high usability websites. For more information on training for this career option, visit our page on information architecture education. Sitemaps can also be constructed collaboratively by user experienced (UX) focused teams that include both designers and developers. By working together, the two can use site mapping to ensure that the navigational needs of the user and the design needs meet in a happy middle. The created sitemap can be used to collaborate on the best content types and taxonomies, and help define the site’s functionality. The Importance of Site Mapping. Before you start creating a sitemap, it often helps to have some idea of why you are doing so in the first place. There are many benefits to creating a sitemap and these organizational tools can be used for a variety of scenarios. 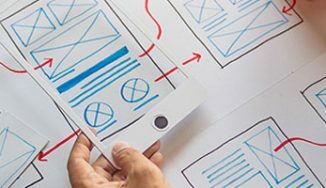 Whether you are creating a new website or redesigning an existing site, learn about how you can use site mapping to make your web design project go smoothly. If you are building a new website, there’s a good chance you might start with some sort of sitemap. If not, you probably should. Even if it’s just a rough sketch of the pages that you have planned, it is a sitemap nonetheless. While you can definitely build a website without first having a sitemap, it’s not a good idea to do so. Site mapping can significantly improve the experience of the user. If creating the best possible experience for a user is one of your goals, starting with a visually-based sitemap is a good idea. Planning for the user’s experience takes deliberate effort. You need to know what pages you have, the type of content you are using, how they are linked, and any other functionality your users may encounter. You need to be able to plan the journey you expect users to take and forecast other potential routes as well. You need to make it easy for them to find the information they want. The best way to ensure that information is accessible is with a visual sitemap. A well-organized sitemap is a blueprint for a successful website, but only if it starts with a solid information architecture (IA). You need to understand your users if you are going to create a website that serves them. You need to know your user’s interests to create experiences that suit them. The IA helps with this. It can reveal the topics, types of content, and even interactive elements that your users will use. Your sitemap will reflect your understanding of that information architecture. Without the sitemap, information architecture does not have a firm foundation to be built upon. Designers may forget why they are designing. The needs of the user may be set aside as creative inspiration takes over. Before you know it, you have a collection of beautiful pages that are disorganized, unattractive to the target audience, and difficult to convert. While having a sitemap of some sort is a good idea whether you have established an information architecture or not, many people skip it because they believe it will take too much time. The funny thing is, it doesn’t have to take a lot of time. A sitemap can be as simple as a sketched-out diagram of the proposed pages and how they will be connected – literally something that you could sketch on the back of a napkin in a diner. However, if you want to make it easier on yourself (especially if you work within a web development team) you owe it to yourself to create a sitemap that is both visual and digital. Not only is a digital sitemap easier to share with others (as compared to the napkin), your entire team could know what is going on as well. Plus, there’s the added benefit of there being no chance that you might accidentally throw it away. Slickplan makes it simple to design a visual diagram of your site that is not only easy to create, but also share with clients and website stakeholders. We think it is definitely the easier option. Redesigns are an even better reason to use a visual-based sitemap if you weren’t already planning to do so. 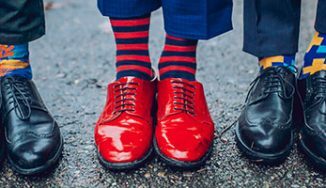 Similar to a new website, redesigns need planning – perhaps more so because they are re-makes of an original design that was not working out for whatever reason. To fix whatever went wrong, redesigns often come with a healthy dose of information architecture. That research is best rewarded with a well-thought-out visual sitemap. Site mapping is perfect for redesigns because it can fix things that may not have been working efficiently in the past. Were visitors repeatedly not going to their intended pages? Did redundant information kill SERPs? Do site metrics suggest you need a search bar, but you’d rather offer your users a more direct approach? Site mapping, whether it is a visual sitemap, HTML sitemap, or an XML sitemap, can help resolve these problems by setting the foundation for a better organized, more navigable site. Even if there isn’t anything actually wrong with your site, it may still be a good idea to create a sitemap of some sort. If it’s been a few years since your last redesign; the keywords, needs of your audience, internal goals, or key performance indicators (KPIs) may have shifted, prompting your website to do so as well. At this point, you’ll need to create new navigation for your users, and the easiest way to start this process is with a visual sitemap. Perhaps users can navigate through the website just fine, but the bigger problem is that they cannot find you in their search. In that scenario, refreshing the website in some way and submitting an updated XML sitemap (or one at all if you haven’t already) is often enough to improve search traffic. When you submit changes to search engines, such as Google and Bing, you give yourself a better chance of having new pages or an updated site structure being found quickly. Site mapping does not have to be hard but doing one for a redesign is often harder than a brand-new site. Part of the reason is that you already have existing content, and most of the time you are expected to use as much of it as possible. Therefore, the first step in redesigning is often a content inventory and that process, unfortunately, can take a lot of time which makes redesigns as involved or even more involved, than new sites. Once you know what content you have, you can effectively plan for what content you’ll need and use that knowledge to create a well-planned visual sitemap. 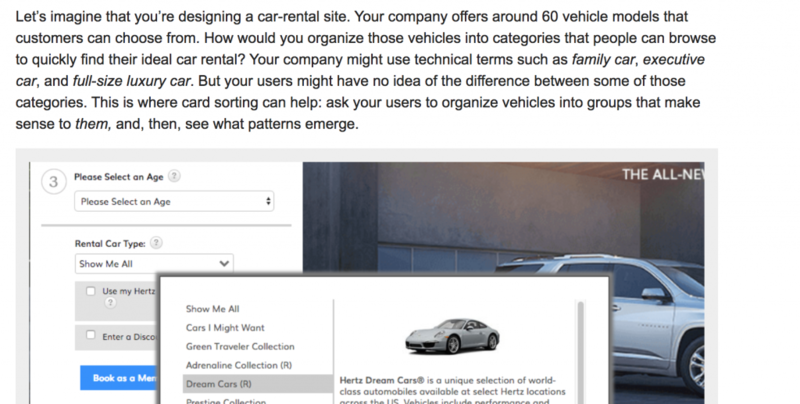 Creating a brand-new sitemap without first creating an inventory of the content you currently have is not very efficient and may not do the best job of creating the ideal user experience. So before you start putting together a visual diagram for your website redesign, we recommend starting with the site you currently have. It’s like starting at the base and redesigning from there (instead of actually starting from scratch). Slickplan’s visual sitemap generator is an excellent example of this in action – simply enter the original site, and it does the site mapping for you. From there, you just add, reorganize and delete as needed. Who Benefits from Site Mapping? It may only take one person to put together a sitemap, but multiple people can benefit from there being one. Because site mapping helps simplify the website planning process, practically everyone involved with the creation of a website will appreciate having one. This includes stakeholders and clients, the end user, and of course, others on the web development team. Each of these people has a viable stake in your website’s success. Their role may be internal – helping to build the site or realize organizational goals, or external – delivering clicks and making conversions. Whatever their specific role is with the website project, maintaining open communication with them throughout the website planning process will be essential. Having everyone know what is going on is a significant factor in a website’s overall success. Visual site mapping can simplify the process of communication between the website development team and project stakeholders. These people often have different goals, and approach website development from different points of view. Whereas the web developer may have plenty of information on the needs of the target audience, key stakeholders may be better versed on the needs of the organization. This graphical site mapping tool provides a tangible plan for how both needs will be addressed. Because stakeholders often only want to know what is going on with the project (and not necessarily the details), it is important to use a format that is non-technical. It is also a good idea to create sitemaps that can be easily opened, and don’t rely on software that these key decision makers do not use. 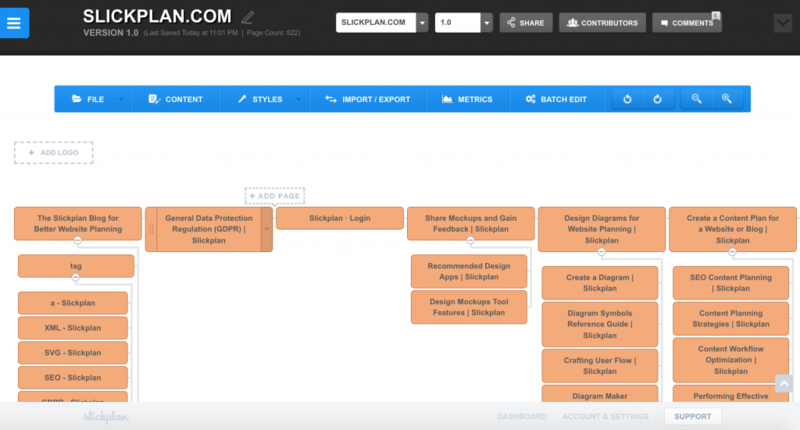 The online-based visual sitemaps that can be created via Slickplan offer both depth of design for the development team, and simple-to-use sharing, collaboration, and viewing options for non-technical stakeholders. As mentioned above, an HTML sitemap is essentially a table of contents for your website. It tells users what to expect in terms of content and functionality, but it is not the only type of sitemap that matters for users. Visual sitemaps are also useful as they help ensure that development teams stay user-focused (instead of organization focused), while XML site mapping helps potential users discover the site via search. Site mapping is perhaps most beneficial when used during the website planning phase. 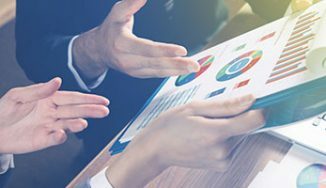 When combined with well-strategized information architecture it can ensure development teams stay on track and maintain a focus on usability. Focusing on usability benefits the end user because it leads to a successful digital experience. If you’re not creating a positive visit for your users, you might as well get out of the game. Site mapping is a critical step to ensuring the usability of a finished project. Your sitemap is the diagram – a foundation or blueprint – for the rest of your site; and because the IA informs it, it should reflect the original intent of the site’s overarching navigation. See more about how IA, navigation, and sitemaps are defined – and how they work together. While site mapping is heavily based on the information architecture, it isn’t only about the information architecture. Specifically, your sitemap doesn’t just explain how navigation will work, or which content will go where, it also plans for the site’s design elements. Without a sitemap, designers and developers may have a more difficult time collaborating on their ideas and producing a cohesive, user-friendly site. Site mapping is part of a larger content strategy that includes determining content priority, identifying needed pages and templates, and creating a content model (if applicable). Designers often work alongside this process, by highlighting the most significant areas of the website and focusing on the accessibility needs of the end user. With a sitemap, the collaboration is streamlined because designers have a clear guide to reference. When site mapping, both the needs of the designer and the developer should be considered. Designers often have specific needs, such as accessibility requirements (like easy-to-understand labels on navigation or the ability to tab through a site) and these pose unique challenges. At the same time, their concepts and ideas must fit the business needs of the site. Site mapping smooths out this process, making it easier for designers and developers to create better sites all around. Other Reasons to Practice Site Mapping. Site mapping is a good habit to have when it comes to website planning, both in regards to organization and usability, but there’s more to sitemaps than building websites. SEO and content marketing also benefit from the use of a sitemap. When you start with effective information architecture and use that to create an easy-to-follow sitemap, you are already doing the necessary steps to improve your marketing. When you use site mapping with your content marketing campaigns and submit XML sitemaps to search engines, you are even more ahead of the game. Up until now, we’ve talked about how site mapping is beneficial for the usability of a website (and makes it easier for those involved with its creation), but those aren’t the only reasons to use one. Site mapping is also a useful practice for blogs – specifically those involved with a content marketing campaign. Content marketing is different from website creation. It is the process of driving new traffic to a website using other forms of content such as blogs and social media. These individual pieces of content create hubs of information about an organization or a brand. Whenever you are creating any hub of information, site mapping is certain to help. However, content marketing is much more than the process of creating blogs. Since the purpose of content marketing is directing readers to a parent organization site, product pages or some other service, they must be well-organized to funnel visitors through a chosen path. You are more likely to secure conversions if you set your crosslinks and references correctly, and you are more likely to do that if everything is organized first. What does it mean to organize blogs for content marketing? The first thing to remember is that blogs for content marketing may include many different types of content or even multiple blogs. They also may not seem related, although they have the same end goal. By taking a big picture approach and categorizing that content into types you are in essence creating a sitemap that will help your content marketing reach its intended goal. You can even get more granular with your content types, including more specific content types such as expert interviews, question and answers, or listicles (list-format articles). Don’t discount these steps as extra. The time spent doing a little planning will be beneficial to your users (and search rankings) in the end. Don’t forget to create detailed XML sitemaps for your blogs as well, as this can also impact blog effectiveness. By including your blog categories in your XML sitemap, you’ll have a boost in your SEO and ability for search users to more easily find content that’s relevant to them, making your content marketing even more effective. Even your category archives can be relevant for search engines and possibly keep individual pages from unnecessarily competing for search ranking. Speaking of search rankings, site mapping is an effective way to improve the SEO of any type of website. Search engine optimization (SEO) is another aspect of internet marketing that benefits from XML site mapping. There is a lot of valuable information to obtain from a well-built XML sitemap, that’s why taking the time to create one, should be at the top of everyone’s website planning list. With an XML sitemap you can, in essence, jump ahead in line. Instead of waiting for search engines to find your site, your XML sitemap puts you on the VIP guest list. That’s not all site mapping does, however. Once search engines see your site, they then crawl your pages so that they can infer how that content is related to each other. They are indexing it. Your sitemap includes suggestions on how they should do that as well. Improving how a site is indexed is one of the main reasons why SEO specialists suggest using an XML sitemap, but it isn’t always a straightforward process. Just because you make suggestions doesn’t mean the robots are going to pay attention. Your sitemap needs to be consistent, well-organized and not full of unnecessary pages. XML sitemaps are written for robots, and robots have their own sets of rules, that us humans aren’t always privy to. Even though the process of submitting an XML sitemap doesn’t guarantee results, if it is well-done, it can certainly influence what a search engine sees. By carefully selecting which pages are included, you increase the chance of the pages you left out being ignored. This is important because sometimes, you can only rank a few pages – shouldn’t you have some control over which pages those are? Although XML site mapping is often used in the website planning phase, it can also help improve the SEO of an existing site. Simply altering a sitemap can sometimes improves SERPS by triggering a new indexation. SEO specialists can also use site mapping to quickly see which pages were submitted and indexed by search engines, saving valuable time and effort when it is time to make changes. Site Mapping and Information Architecture. If you’re planning to build the best possible web experience for your organization’s products or services, knowing what pages, content types, crosslinking, and other functionality you’ll have, as well as the journey you expect users to travel through your navigation is essential. Site mapping gives you the chance to take that information and build upon it. However, every great sitemap starts with an understanding of the needs of your organization, its stakeholders, and most importantly, the priorities of your target audience. When it does, the designer can possibly deliver the best experience on the first try, but only if it starts with a solid information architecture. With the IA in place, one built on a thorough understanding of the user, you set the ball in motion to build a complete experience – one that considers every step of the user journey. Your final sitemap would be a roadmap full of all the necessary pieces of content and interactive elements that your audience will engage with, enjoying every moment of it. 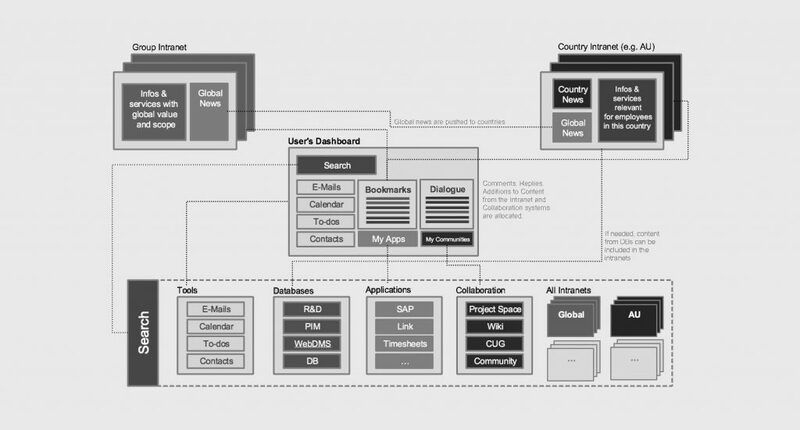 The information architecture is the top-level navigation and structure of your website. It is the bare-bones summary of your site, like the navigation that runs across the top of the page. You won’t have a thorough summary of what is going on, but you’ll have a good idea at least. Having the IA in place first is highly recommended. Defining this navigation and general structure before you build will only make the process easier. Once you have the main idea of what you are doing, it is much easier to go more in-depth, site mapping as you go. The two simply go hand-in-hand, and you’ll quickly find that when you focus on the information architecture first, adding the parent/child pages, crosslinking opportunities, content types, necessary blocks or calls-to-action will happen with very little effort. A sitemap can solidify the ideas generated from the information architecture. It is the diagram of the site, based upon what the site is supposed to accomplish and how it intends to do so. If you start site mapping without first focusing on the IA, you are building backward, perhaps creating a site with no purpose. You also risk creating a site with poor usability and a negative user experience. For more on the difference between information architecture and sitemaps read this Medium blog post from UX designer Bjorn Amherd. The process of building an information architecture is complex, but if done correctly it is well worth its effort. While you could simply decide how you will structure the site based on what you think is best, it is a much better idea to think about what the user wants. Some of the best strategies to do this with include identifying the target audience, practicing card sorting, and defining keywords and audience goals. 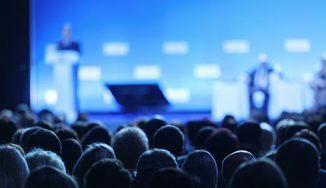 Target audiences are your most essential stakeholder. Web experiences exist for users on the other side of the screen. Building an IA, navigation, and sitemap that’s easy to use and leads users where they want and need to go is the most important part of the site mapping process. Before you dig into navigation and sitemaps, however, you must know what your target audiences are seeking, as well as what drives them to your site and eventual conversion. The process of identifying a target audience is often completed by business decision makers and passed down to web development teams. It is a calculated measure of organizational goals, the type and size of the market, and sometimes even preference. Knowing who the target audience is first helps focus any type of marketing, with websites being no exception. Before you start building, get to know who you are building for. If you have already identified your target audience and are, instead, redesigning a website to better suit their needs, there are numerous ways to learn more about them. One way is through Google Analytics (GA). At a high level, GA can tell you where these users are going, the search terms they use to find you, and which pages are most important to them. Another way is through user interviews. Talking to real people can help you understand what drives them and what they are looking for. This type of information can help create new, innovative paths to better connect them with the content on your website. Learn more about user interviews in this Intechnic blog post. Knowing who you are talking to and what you are going to say are just the first steps in creating a solid information architecture. You also need to logically organize your content. This is done by creating a navigation plan that serves the needs of the organization and the end user. This is one of those things that sounds simple in principle, but in practice can be far more challenging. If you’re struggling to get your mind around all of the navigation possibilities, consider a card sorting exercise. Card sorting builds upon the process of user research to identify the optimal navigation for your website. The practice allows your key stakeholders, team members or even audiences to choose the categories and topics that best describe which services or products your organization offers. Card sorting is worth the effort because it makes grouping content easier. With the information obtained from the practice, designers can create the big ‘buckets’ that make up the navigation across your site. 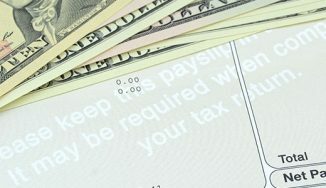 For more on card sorting, read this Nielsen Norman Group article. Once you have a clear idea of who your audience is and how you will present information to them, you need to focus a bit on the flow. Understanding which terms audiences use to find your site, as well as the terms they may search for within your site, will help determine where they may need better accessibility within your sitemap. Also, having a clear idea of your audience’s goals via user page paths and page engagements can also tell designers a lot about how users are interacting with the site and how the flow can be improved. The easiest way to define keywords and audience goals on an existing site is by using Google Analytics. Simply use the data from the navigation summary to create actionable insights. It can also be done more directly by using user interviews. When combined with card sorting, the results of this process can make building your main, secondary, and footer navigations a breeze. To learn how to use Google Analytics to define keywords and audience goals read this Online Metrics article. While you are creating your sitemaps, you’ll also want to consider creating a user journey or empathy map as well. This step takes the process of identifying the target audience further by creating specific scenarios for the target users and defining how the navigation will aid (or impede) their quest for finding the information they need. They can also show how navigation will aid in the organization’s goal of the user making a conversion. Tasks: What tasks are users trying to complete? Influence:: What people, things, or places may influence how the user acts? 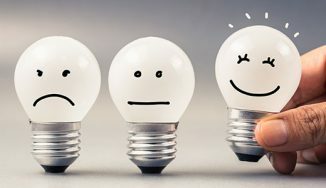 Feelings:: How is the user feeling about the experience? Pain points:: What pain points are users trying to overcome? Goals:: What are users ultimately trying to complete? User journeys and empathy maps are helpful because they can easily help everyone involved with the web design process, understand who the website is for. When creating a web-based project, completing this step helps put you in the driver’s seat of your audience’s experience. By considering these questions as well as how your product or service is their answer, you can build a better sitemap and ultimately a better site. 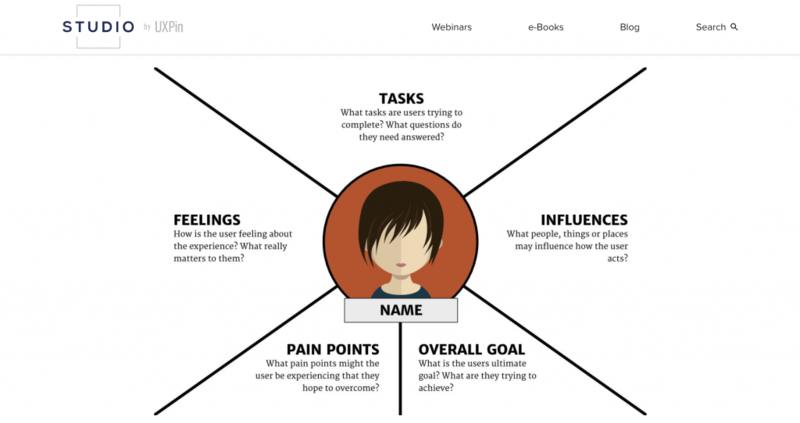 Read this UXPin article for more on planning for the user journey and creating empathy maps. Regardless of whether a sitemap is built by an information architect, content strategist, or UX focused team, there is a specific process. First of all, you should start with the information architecture – effective site mapping relies on several resources and reference points to ensure that the audience’s needs (and organizational goals) are being met. From that point forward, you have a choice of site mapping by hand, or with the aid of a computer. Sitemaps help organize the website planning process, so it should be no surprise that the process of site mapping is quite organized as well. Although there are many tools available to help you quickly create any type of sitemap, you can also create one manually with a little effort. 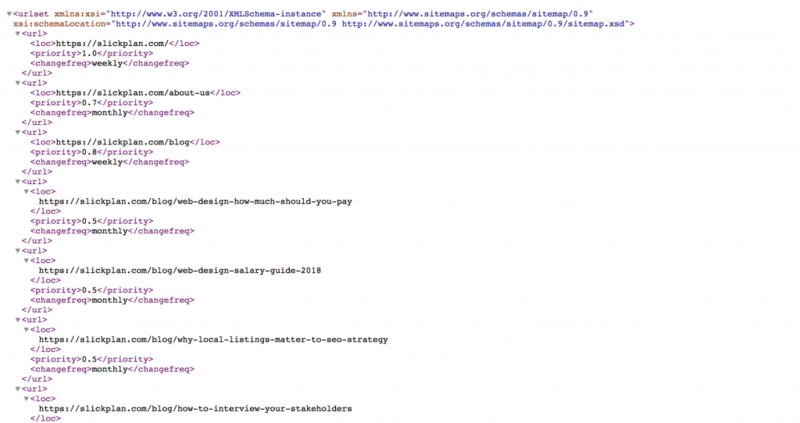 The HTML sitemap is probably the easiest type of sitemap to create manually. It is, in essence, an outline of your website, and can likely be created at the end of the website planning process. A visual sitemap, on the other hand, is a bit more involved. It dives in deeper into the navigation of a site, meaning you’ll need to have already planned the navigation of your site. You’ll also need to do a bit more than making a list of the pages on your site. While visual sitemaps are the perfect reason to use an automated site mapper of some sort, it’s still quite common for information architects to sketch visual sitemaps by hand. They may use common tools such as Post-It notes to show the deep parent-child relationships of pages. Sometimes they stick to a single piece of paper, opting for a wireframe that illustrates the intersection of design and navigation. Before you start site mapping manually, however, you should first start with a card sorting exercise. Card sorting can help you identify top-level topics and audience interests. It gives you a place to begin building your information architecture, which is fundamental for visual sitemaps, and it can also help with the creation of XML sitemaps. Complete your card sorting exercise with stakeholders to understand which top-level topics will need the most consideration in your site’s navigation. Once you have enough of the IA planned, you can use the Post-Its approach to track your top-line categories and subcategories. The great thing about this method is that the Post-Its are moveable. This gives your team the opportunity to move things around, group like items and make changes as a group. You can even color code your navigation – highlighting main, secondary, parent, and child pages with different color pads for example. Spread your Post- ts as far and wide as needed to illustrate your site’s layout. Go across the wall or take up an entire whiteboard if necessary. This practice will help you be able to see the details that can help you make important decisions about your navigation experience. The Post-Its method is an effective way to build a visual sitemap, but it has its drawbacks. While it is easy to collaborate with team members by simply moving these colored sheets as needed, what about the stakeholder that doesn’t come into the office? There’s also the eventuality of one of those notes getting lost, potentially losing valuable work somewhere under a desk. For the best experience creating visual sitemaps, your Post-Its method should move to digital. Online diagram tools are a nice graduation from Post-Its. If you already have a thorough idea of what you will use for your category topics, you can use diagramming tools such as Microsoft Visio or Adobe Illustrator. These tools are often relied on by both content strategists and information architects to create visual depictions of what is occurring on a site. Diagramming tools can definitely be helpful, but sometimes they are quite challenging to use. The challenge isn’t always in creating the diagrams either, as many people can create something that they, personally, can understand. The difficulty is creating something that others can understand as well. In addition to making sense, your diagram should also include a legend, particularly if you rely on different shapes, colors, or icons to differentiate page levels and content types. These features are not easily built in programs like Microsoft Visio and Adobe Illustrator, and you may need a lot of manual adjusting to make your diagram easy to follow. Digital design tools have made vast improvements on the Post-Its method of site mapping, but they too have their limitations. That is why it’s no surprise that many site architects are turning to more user and collaboration-friendly tools such as Slickplan’s sitemap generator. 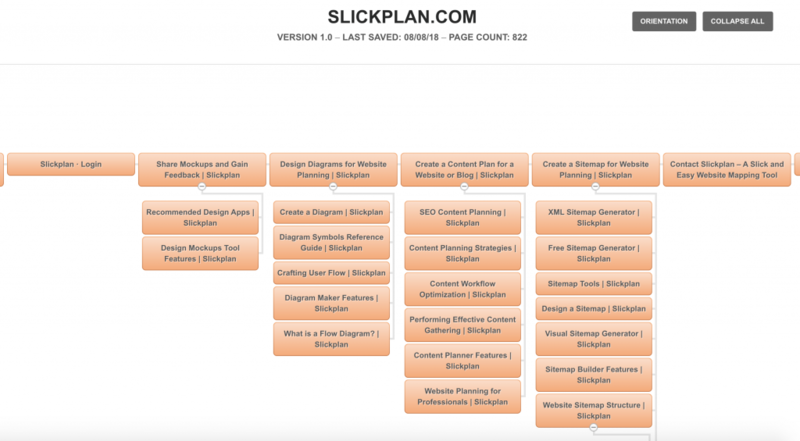 Slickplan’s visual sitemap tool gives the site mapper the control they need. Instead of focusing on learning how to customize tools that weren’t designed to build sitemaps, it lets you focus on the pages – specifically, where they live and how they are organized. In other words, Slickplan enables you to focus more on information architecture and less on the position of a box. 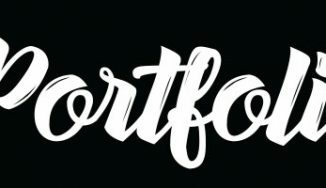 Many of the details that would be hard to do with traditional design tools are built into Slickplan. Color coding (like those Post-Its), movability, and the ability to leave notes as well as add attachments are all built-in features so that you can easily get your point across to team members, stakeholders, or clients. These built-in collaboration features make working in teams easier than the other options. When you have a draft ready, quickly share links that allow others to edit your creation and gather feedback on the sitemaps you are working on. Site mapping with Slickplan makes it easy to plan a website, setting the precedence for the entire website building process. Many people can understand why they might use site mapping to plan a new site, but site mapping is just as essential for redesigns. Many times, redesigns are requested because a site was not performing well. To fix this, website designers and developers need to first identify the problem, and this process typically starts with the content. When working with redesigns, start by understanding what you have and removing what you no longer need. Unfortunately, this is another process that is often easier said than done. It can be quite challenging to know which content can stay and which can go unless you use a method of some sort. Before you start throwing out the old and bringing in the new, crawl the existing website to see what’s currently there. A content inventory can help you see what you have so that you can quickly point out what needs to go and what can stay, because often, everything doesn’t need to go. If there is a lot of content on your site, you could use a tool to crawl it. The tool will normally spit out a spreadsheet of information that would be quite helpful if it had any organization whatsoever. Thankfully, there is another option. 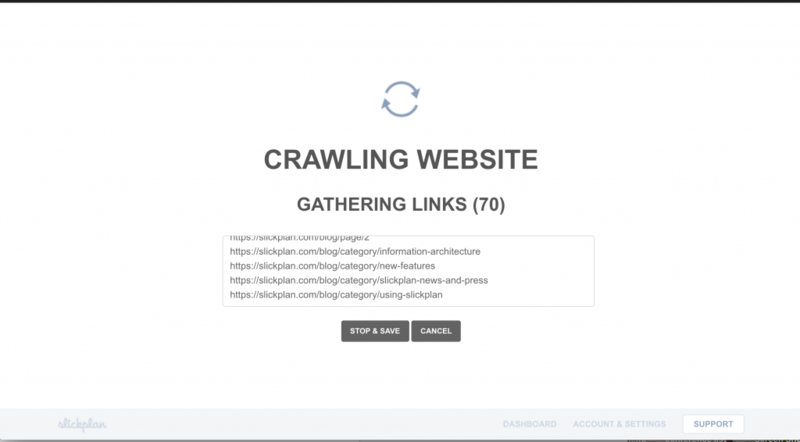 The Slickplan site crawler can both crawl your site and organize the results into something that is actually useful. Use it to quickly visualize your current site and make changes. Perhaps you need to move a few pages or leave notes on a specific section and share that with your team for feedback. Maybe you want to include some attachments. With Slickplan’s site crawler, you can see what you are working with, and immediately start making the changes to make it better. (R)edundant. Redundant content is content that exists in more than one place. Instead of being repetitive, use crosslinking. (O)utdated. Content that’s outdated or old needs to be archived or refreshed. If it’s outdated to your organization, it likely is not valuable to your users. (T)rivial. Trivial content has little value for you, your organization or your target users. Sometimes this content is the result of stakeholder requests, other times they show up as orphan pages that need a little home. Whatever the reason, they do not belong on the site. If you find that there is little content left after completing this step, you may need to create a new sitemap. The easiest way to do this is with Slickplan’s sitemap generator. Read this article from creative agency Vital for more tips on performing a content audit. Once you’ve built your sitemap, it’s time to test it. There are a few ways to do this. You set up A/B testing, conduct user testing and even do click tracking. You can also just talk to your users. A visual sitemap is perfect for sharing with users because it provides an easy-to-follow map of what they can expect from a finished site. Don’t be afraid to share your diagram – just because it is live, doesn’t mean it is fully evolved. Going public with it now, give designers the chance to fully tweak it to what the user wants. Asking users what they want in terms of an experience, will make it easier to deliver as you finish creating. 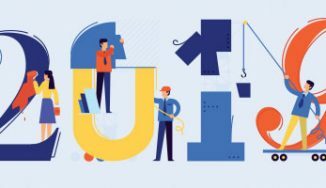 Whether you choose to perform tests or simply talk to your users, both ways will help you gauge how well your sitemap fulfills its goal and give some insight into how to make it better. Keeping your users at the forefront of what you do results in a better online experience for all. A/B Testing is a straightforward process that is surprisingly challenging to set up. This type of test can reveal a lot about how users respond to specific terms or design styles; however, knowing what to test first is often the struggle. The right tests can help you discover the best option for your users’ interest and attention so you can tweak your sitemap to match. For help with setting up you’re A/B tests, read this Optimizely blog post. Having users test out your sitemap is another way to get actionable feedback. Not only do you get an idea of how a user responds to your architecture, but you can also get a glimpse into failure rates based on the user’s gut reaction and choice of navigation options. Like A/B testing, user testing helps designers know what terms make the most sense to the intended audience. Plus, with tools such as TreeJack, it’s easier than ever before. While A/B testing and user testing can provide valuable insight into user behavior, there is still another option. Visual analytics give more of a glimpse into what is going on, by showing the path that a user is taking, in addition to the direct actions they take. In particular, heat mapping reveals where users’ cursors are doing the most work. Click tracking also works well with other forms of testing. You can use the results to help identify areas that need further A/B testing. 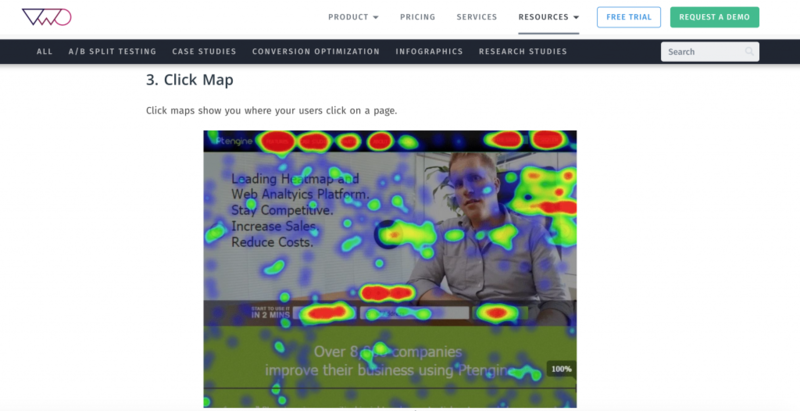 This VWO article explains how to use heat testing and other forms of visual analytics to build higher converting websites. Once your sitemap is created and tested it’s time to submit and build. Launch it and keep an eye on both the analytics of your site as well as the user experience. 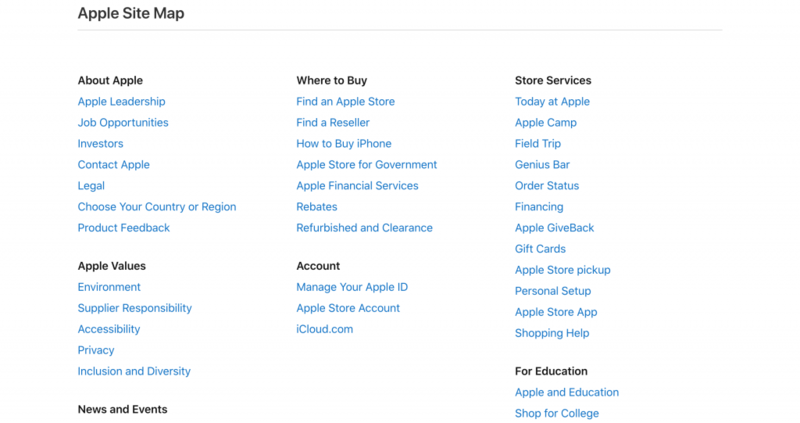 If your new navigation proves difficult for users, you have options. Research Google Analytics for answers or watch for an increase in internal site search or lower page engagement. Based on the results, make changes to your site’s sitemap, navigation, and content as needed. You’ll also want to submit your XML sitemaps to search engines. While this (again) is an optional step, it is quite valuable and could help new users find your site. If your final site ends up being particularly large, or if there’s content that’s not well connected to other pages, an XML sitemap can help. It ensures that search engines can effectively access and understand your content for indexing.